Une villa avec petite piscine très agréable, doté d'un solarium avec une vue magnifique. La villa est très moderne et très propre. Barbecue et tables de jardin ont été à notre disposition. C'était juste parfait car nous avons eu très beau temps. La maison se trouve à 25 min de Sorrento. Merci à Bertha pour l'organisation de la remise des clé. Very sweet town and lovely roof. The pool is beautiful and garden, sadly it wasn't warm enough for a dip... but sure most of the time it is! 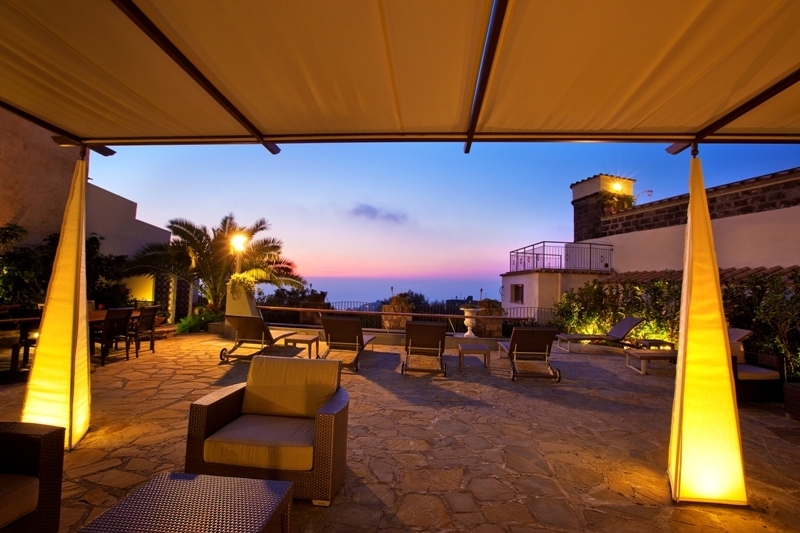 Villa V409 - Sorrento is a very nice place with a gorgious view over the Gulf of Napoli. The house offers many possibilities to enjoy yourself on its three floors (billard, full equiped big kitchen, several bathrooms). The huge garden contains also a terrace with fire place and pizza oven. You get to the next grocery within less than 5 minutes by car. Best of all is the host. Maurizio is a unique person, always helpful and interesting with a lot of experience. Do not miss a boat trip around Capri with him as your skipper. We promis you an unforgetable highlight! 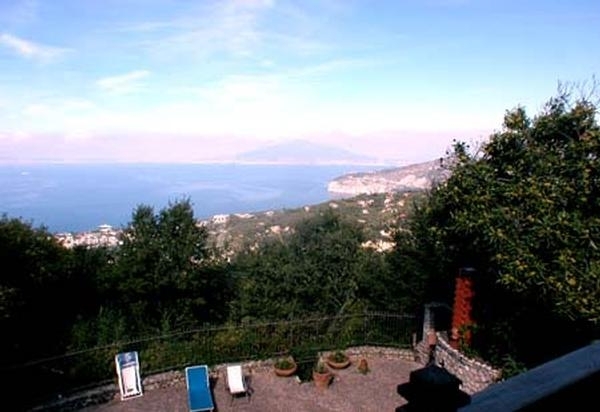 We in a hurry to find a place while staying in the area, and Sorrento Holidays responded very quickly. They gave us good advice how to find the house, and it surely was exactly as promised: well-equiped villa in a nice garden. The kids enjoyed the pool, and there was plenty of terraces to enjoy the sun. At a walking distance you can find good restaurants and beaches, we did some snorkeling. We could have enjoyed much more days in this beautiful and peaceful place! The peaceful location and beautiful garden make this a great place to stay. 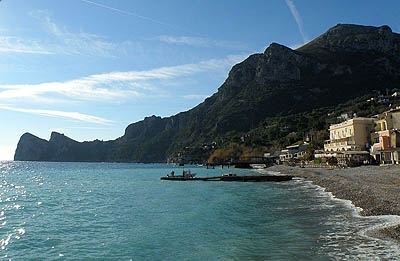 We were able to switch off and sunbathe by the pool, wander down to the fabulous beach/village and travel out in the car to the amazing sightseeing. We loved it. There are so many different places to sit in the garden areas. There are no shops/restaurants in the immediate area but we valued the hilly walk to get to the beach area with its fab restaurants. You can see from the pics that the interior of the house is not modern but it is thus very good value! Also be warned about the MAD Italian drivers before you book your holiday in Italy if you are going to drive!! 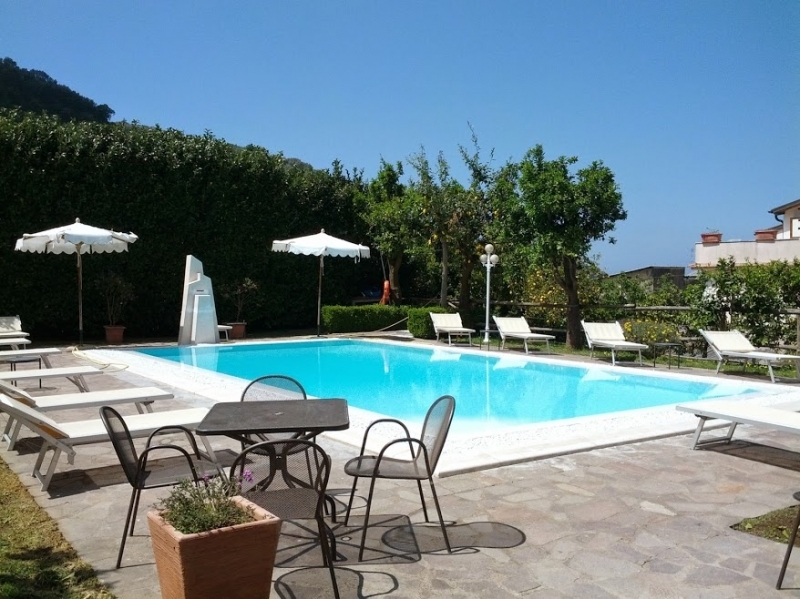 Berta at Sorrento Holidays is fantastic. Not suitable for infirm guests.